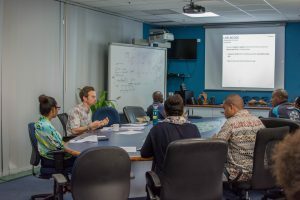 After several months of the team sitting in Germany analysing data and writing up our scientific publications and theses, it was finally time to bring back our findings to various stakeholders in the Pacific region where the work was conducted. 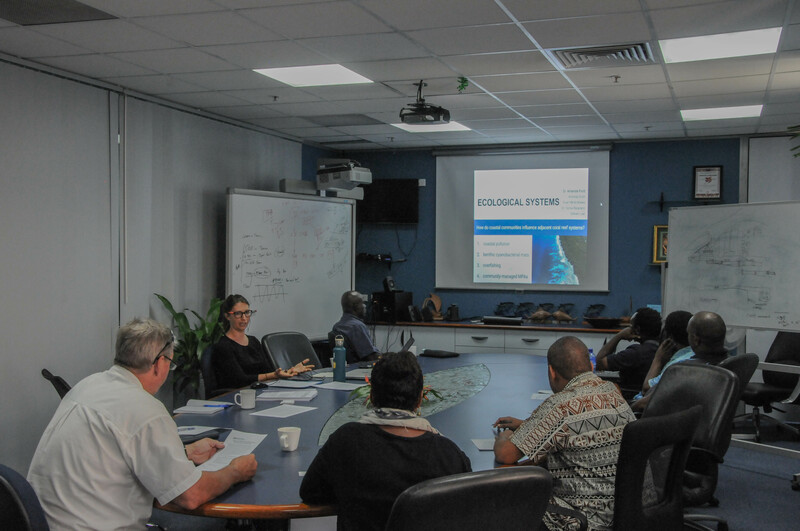 This trip would comprise a range of different meetings, including stakeholder workshops in Papua New Guinea, Fiji, and the Solomon Islands, as well as visits back to each of the coastal communities in which our work was conducted. 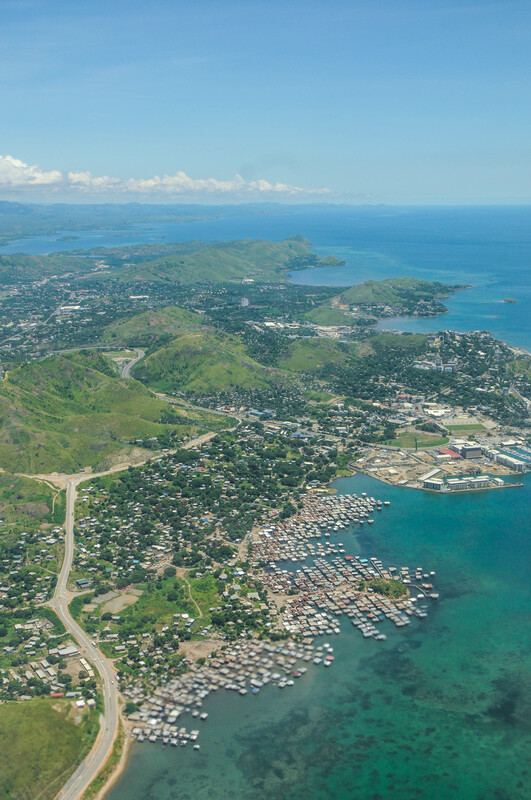 The first leg of this journey for Sebastian and myself took us back to the capital of Papua New Guinea, Port Moresby. Here we were to meet with various staff at the National Fisheries Authority. While the only work that was conducted in Papua New Guinea was an ecological study north of Manus Island (see this publication in Environmental Conservation), many of our other findings in the region were applicable including our insights into the increasing prevalence and ecological consequences of benthic cyanobacterial mats (review in Frontiers in Marine Science), and the ecological role of sea cucumbers. 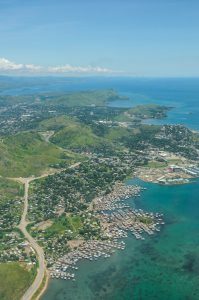 Interestingly, it was mentioned that communities in Papua New Guinea had reported high abundances of ‘algal mats’ prior to the sea cucumber moratorium, and that after the moratorium there was a perceived improvement in reef health. Another topic of interest during the meeting was the fishery status and management of important herbivorous unicornfish in the Pacific region (see article in Aquatic Conservation: Marine and Freshwater Ecosystems), and we identified certain information of importance in future work including identifying when spawning aggregations occur. Such information is strongly lacking throughout the region and is of critical importance to guide management of these species which play a crucial ecological role in the system, particular following disturbances such as storms. We also had some enthusiastic discussions on the topics of market grading and its potential to steer fisheries, and on the role of women in local management, and identified many future research priorities across both social and ecological components in Papua New Guinea. We would particularly like to thank Lorel Dandava and Leban Gisawa for hosting us, and to the other staff members for joining and for their strong participation throughout the course of the meeting. For now, tenkyu and lukim yu behain to all of our counterparts and communities in Papua New Guinea!